Lifx and Hue are two of the top rated smart light products available on the market today. These are both great options for adding brightness, color, and ambiance throughout your home. Lifx is perfect if you want the brightest possible lights. On the other hand, Hue is the best choice for complete customization, ease, and control throughout your entire home. If you are considering a new home lighting system, you probably narrowed it down between Lifx vs Hue. Both of these products are made by reputable companies and have great customer reviews and recommendations online. So which one is the better choice? It all depends on what you’re looking for. We’ll break down the major points to deliberate when purchasing smart color changing light bulbs for your home. You’ll also see an overview of each product, with the benefits and other considerations so you can make an informed purchase. When you buy these light bulbs, you might already have your primary use for them in mind. For example, you want bright lights in your living room that have the ability to dim. However, it’s nice to have some options. While the basic light features are practical, the smart bulb technology systems let you have some fun and change the ambiance of a room. If you are entertaining guests, bulbs that change colors can help set the mood of your party. Let’s compare the Lifx starter kit directly with the Hue starter kit since they both have a wide range of brightness and range of colors. For example, the Philips 464478 Hue A19 3rd Generation Starter Kit has over 16 million colors to choose from. They also have 50,000 shades of white light. You can even sync up these lights to music or movies to add a visually enhanced experience. The Lifx Z Starter Kit has the same range of 16 million colors, and it’s half the price of the Hue model. Another comparable color changing bulb system is the Lifx A19 Smart LED Light Bulb, which also has 16 million color options. Let’s take a closer look at the brightness. To compare the brightness between two bulbs, we’ll measure the lumens. Lumens are the measure of visible light emitted by a specific source. On the brightest setting, Philips bulbs emit 800 lumens. Lifx has a max output of 1,100 lumens. While the color settings are not quite as bright, the Lifx bulbs are brighter than the Philips bulbs when you compare them from color to color. If you’ve been doing your research, I’m sure you have come across the term “hub” in the process. We’ll explain exactly what this means and how it relates to your purchase. A lighting hub is a centralized location or point where all the bulbs get connected. One of the biggest differences between Lifx and Hue is that Philips Hue bulbs require a hub and the Lifx ones do not. There are pros and cons to each method. If there is an issue with your lights, you’ll know where to start troubleshooting. While shopping, you’ll notice the option for first, second, or third generation hubs from Philips Hue. The first generation products are a little harder to come by since they have been out for longer, but they are generally less expensive. All three generation hubs and bulbs are compatible with one another. So you have the option to mix and match based on personal shopping preferences. Once your bulbs are installed, you’ll connect to the settings from the Philips Hue app. 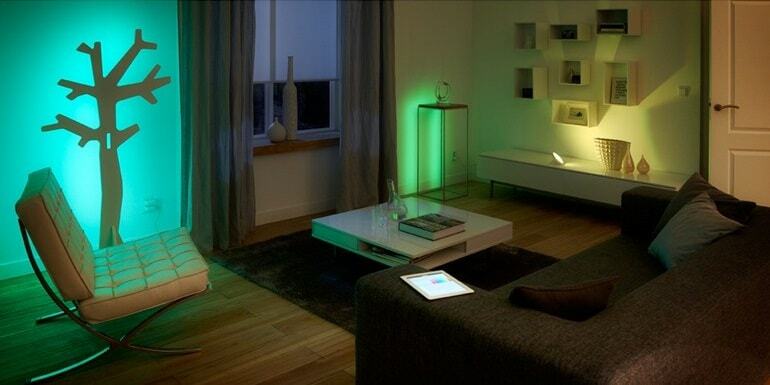 From the app, you can control lights in your home. The app connects to the hub, and the hub connects to the light bulbs. Lifx eliminates the hub step of your control options. 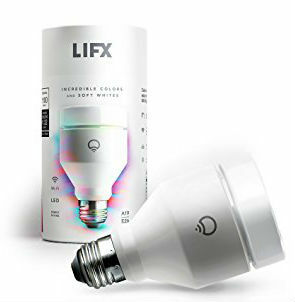 Lifx bulbs each have Wi-Fi capabilities. So if you buy a Lifx 4 pack, you can control each bulb individually without having the bridge connection to a centralized hub. The downside of this system is that you’ll have additional devices connected to your home Wi-Fi, whereas the hub is only one. There could be some network connectivity problems with multiple devices on one network. As we briefly touched upon above, both Lifx and Hue have smart phone applications that control the smart bulbs. From these apps, you can choose the color settings and control each individual bulb. Here is where you really get to have some fun and be creative with your home illumination system. Select your bulb, select a color, and change the warm or brightness settings as well. You can have different color light emitting from separate bulbs simultaneously, or decide to sync all of them to maintain the same color. The options are nearly endless. From the Philips Hue app and the Lifx SmartThings app, you can also put your lights on timers. Walk into a room and dim the lights from your phone. Have your kitchen light automatically turn on in the evening when it gets dark out. If you’re having a party, you can set the lights to change colors periodically throughout the night. These are all features that a standard home light switch and bulb cannot accomplish. Philips Hue products are compatible with both iOS and Android software. You can download the app to your iPhone, iPad, Droid, or Samsung smartphone. You just need to search for “Philips Hue” in the Google Play or App Store. Furthermore, Lifx is also compatible with both iOS and Android platforms. So regardless of which devices you own, you’ll be able to decide between Lifx or Hue without any problems. If you have a smart home integration system, like Alexa, your smart bulbs and lighting system are compatible. You can use Hue with Alexa and Lifx with Alexa. To connect your Philips Hue lights to Alexa, start by going to the Alexa app and select “Smart Home” from the main menu. From here, choose “Discover Devices” so Alexa can search for the Hue hub installed in your home. Once you connect the hub, you can select which rooms or settings you want to set up with your Smart Home Integration system. For example, you can choose your bedroom and living room, without selecting your kitchen. Alexa also recognizes any light patterns you customized through the Philips Hue app. Meaning if you created a light scene called “party,” you can integrate that with Alexa as well. Once you take the time to set up your settings and preferences, you can control the lights through your Smart Home system. Lifx works the same way. From the discovery settings, Alexa will scan available devices throughout your home. From here you can select the bulbs individually and then create groups for them. The names of each group should correspond with the rooms in your home. Then you will be able to control the lights through voice commands with Alexa. The biggest difference between using Lifx and Hue with Alexa is that Hue already has your rooms grouped from your app settings, since Alexa accesses that information from the Hub. 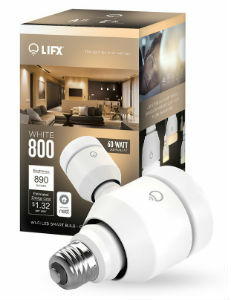 With Lifx, you have to connect each bulb individually and then group them by room afterward. One of the final points you’ll need to consider before purchasing is what kind of lights you’re going to need for your home. Do you want white lights or color? 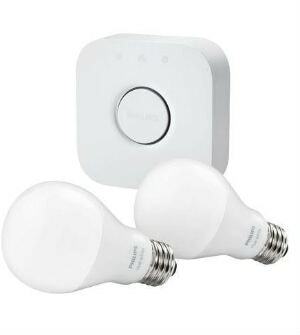 If you don’t need color, you can check out the Philips Hue White A12 starter kit. That package comes complete with a hub and two LED light bulbs. Lifx also has a white light package. The Lifx Smart LED Bulb A19 has over 1000 different white light variations. The Lifx Multicolor A19 system is a great choice if you want options for color. As we discussed earlier, this model has 16 million color options to choose from. The Philips Hue 464479 model also has 16 million color choices. It has three third generation bulbs and a third generation hub included in the kit. Next, do you want bulbs or strips? Bulbs are great choices for lamps and other existing light fixtures throughout your home. While strips make great accessories for beneath doorways, furniture, or below kitchen cabinets. 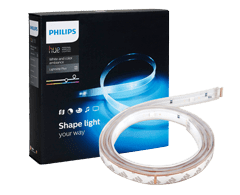 The Philips Hue light strip 800276 has both white and color adjustable settings. It’s also compatible with your smart home integration system. 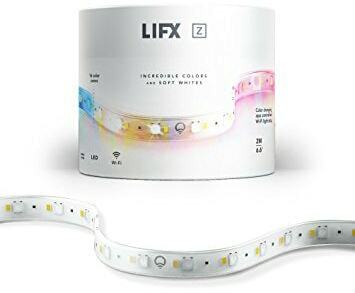 The Lifx light strip does not require a hub and comes with 2 meters of adjustable multicolored lights. It also works with Alexa. The Lifx lighting system is a great option if you want to install a select amount of bulbs or strips throughout your home. You’ll need to make sure that you have a strong Wi-Fi connection because each bulb connects as a separate device. Choose Lifx if you want to brighten up a room. The Lifx lights are brighter than the comparable products from Philips Hue. If you don’t want to install a centralized hub, go with Lifx as well. Philips Hue is the better option if you want to install lights throughout your entire home, as opposed to just one room. Since Hue’s platform comes with a centralized hub, you’ll only have one additional device on your Wi-Fi network. You can easily control all the bulbs and rooms in your home from the Philips Hue app. When you connect your lights to your home integration system, like Alexa, all your pre-set rooms and light scenes are all available. You don’t have to reprogram them. The Lifx smart lights are the best choice if you want to buy the brightest bulbs between the two companies. However, overall Philips Hue is the clear winner. The Hue centralized hub is the main reasoning behind its success. Having every single smart bulb connected to your home Wi-Fi can get complicated and confusing. Philips Hue solves that problem with their hub. Once you connect to the hub from the app, you have complete control over each bulb, strip, and room. 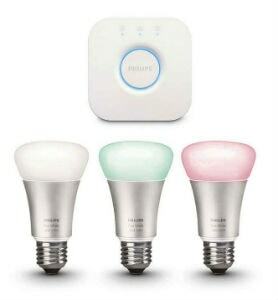 It’s also easier to set up your home integration system with Hue.